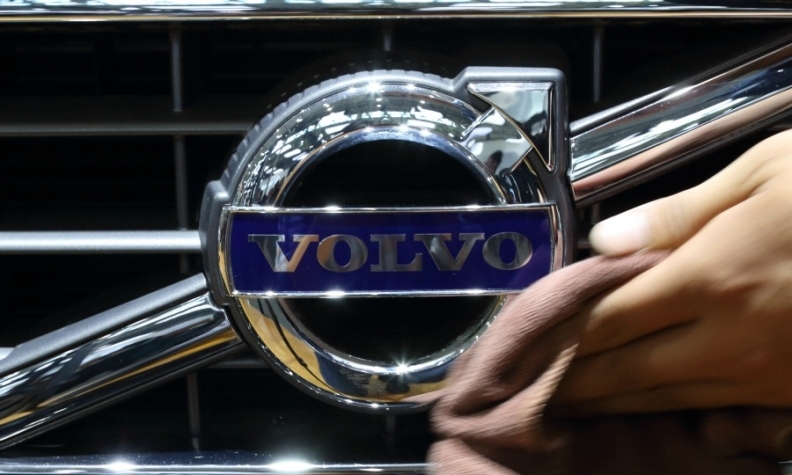 STOCKHOLM -- Volvo Cars increased profit 28 percent last year to a record high as the Chinese-owned automaker saw strong demand for new models, above all in China. Operating earnings rose to 14.1 billion Swedish crowns ($1.76 billion) in 2017 from 11.0 billion a year earlier, as revenues climbed 17 percent to 210.9 billion crowns, the Swedish automaker said. "Our business has transformed completely since 2010 and we are now gearing up for a phase of global, sustainable growth," CEO Hakan Samuelsson said in a statement. Volvo also reported its fourth straight year of record vehicle sales as a revamped, pricier model lineup helped it take on larger rivals such as BMW and Daimler's Mercedes-Benz. Volvo sold 571,577 vehicles last year, up 7 percent from 2016, boosted by demand in China, its biggest market, and brisk sales of its new 90-series sedans and station wagons and XC60 SUV. China sales grew 26 percent to 114,410. Volvo finished the year strong because of a positive fourth quarter. The automaker increased operating earnings 7.8 percent to 3.6 billion crowns in the quarter with revenues up 11 percent to 61.7 billion crowns. The company's net income climbed 26 percent to a little under 3 billion crowns. Vehicle sales rose 2 percent to 158,105. Volvo was bought by Zhejiang Geely Holding in 2010 after languishing for years under the Ford. It has revived under Geely's ownership, investing in a broad product overhaul and making rapid inroads in China, the world's biggest auto market. In recent months, Geely has been spreading its net wider, striking a deal to buy an 8 percent stake in truck maker AB Volvo, once the owner of Volvo Cars. Geely has also bought shares in Daimler in the hopes of forging an alliance over electric cars technology, sources have told Reuters. Samuelsson declined to comment on Geely's reported purchase of Daimler shares, but said opportunities for further co-operation with AB Volvo might be evaluated by the two firms, while an IPO for Volvo Cars remained an option. "We run the company as if it was a listed company and we believe it is good for us to have that transparency," he said. "As far as a possible IPO is concerned, I know that is an option and a question for the owners Geely Holding to decide." The implications of an IPO for Volvo are unclear, but the automaker has taken steps toward an eventual listing, raising 5 billion crowns from Swedish institutional investors through the sale of newly issued preference shares just over a year ago. Volvo has set a goal of reaching annual sales of 800,000 cars by 2020. Its first U.S. plant will begin production later this year.